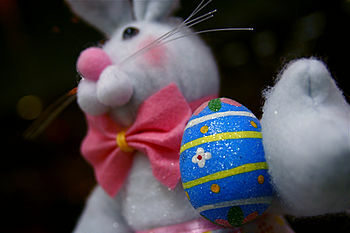 When the Cherry Hill Presbyterian Church in Dearborn, Michigan distributed flyers promoting their “Eggstravaganza” Easter egg hunt at two local elementary schools, they didn’t expect to become the center of a religious war between Muslims and Christians. But that’s exactly what happened last week igniting a storm of protests and counter protests mixed in with the usual measure of American Arab rivalries and right-wing fanaticism screaming about “creeping Shariah law” taking over America. It all started at the dinner table in the home of Majed Moughni, a personal injury attorney and Muslim American activist in Dearborn. His two children, a seven-year-old daughter and nine-year-old son, brought the flyers home and told their father they were concerned. So, why was a church distributing flyers promoting an event so closely tied to the Christian religion? Isn’t that a violation of the Constitution’s “separation of church and state,” an expression used by Thomas Jefferson to described the fundamental precept of the First Amendment which establishes the freedoms Americans enjoy? Moughni complained to the school. The Detroit Free Press jumped all over the controversy and published a front page story under the incendiary headline: “Muslim parent upset over school flyer promoting church’s Easter egg hunt.” It quoted Moughni at length. Rival Muslim activists quickly denounced the Free Press for quoting Moughni. Osama Siblani, the publisher of the 30-year-old Arab American News daily newspaper, said Moughni embarrassed Dearborn’s Muslim community, which has been attacked repeatedly in the past by right-wing Christian fanatics and media including the notorious anti-Muslim and anti-Arab activists Sean Hannity and Pamela Geller. Siblani joined a dozen Muslim leaders to rally for the church. Moughni’s comments make sense. No religious group should promote their activities in a US public school. It isn’t about the Easter egg hunt, but rather whether a religious group can promote their activities at a public school. The truth is that no religion should be permitted to promote its activities in US public schools. Before you know it, Christians might get carried away and start celebrating Christmas in the schools, too. Oops. American public schools do celebrate Christmas each December by closing the schools “for the holidays.” Oh, and they close down for Easter, too, in the spring. I wonder what Christians would think if the schools started closing down during the holy month of Ramadan, or to celebrate the Jewish holiday of Passover? What Moughni’s children did was to innocently raise the issue of American hypocrisy. And they also put a spotlight on the divided and fractured American Arab and Muslim community. Those debating the issue are not interested in the issue Moughni’s young son raised: Does the US Constitution really have meaning, or is it just a piece of paper we turn to when it’s convenient? Instead of having a public discussion in a reasoned way, the controversy has become fodder for anti-Muslim hatred, anti-Arab propaganda and ammunition for America’s growing right-wing conservative fanatics. It has also fueled another bitter dispute within the dysfunctional American Arab community. I don’t know whether to end this column with a “Happy Easter” or just a “Happy Holiday?” Or maybe it should be “Happy Ramadan,” and “Happy Passover,” too. I guess in America it all depends on what you believe, and who you hate more. 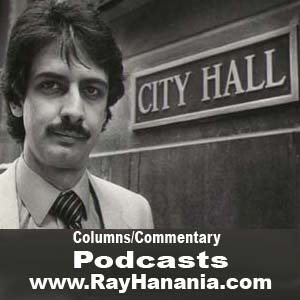 –- Ray Hanania is an award-winning Palestinian American columnist. He is the managing editor of The Arab Daily News at http://www.TheArabDailyNews.com. Follow him on Twitter @RayHanania.